Aqua Extreme Obstacle Course - This is simply the most awesome obstacle course out there. 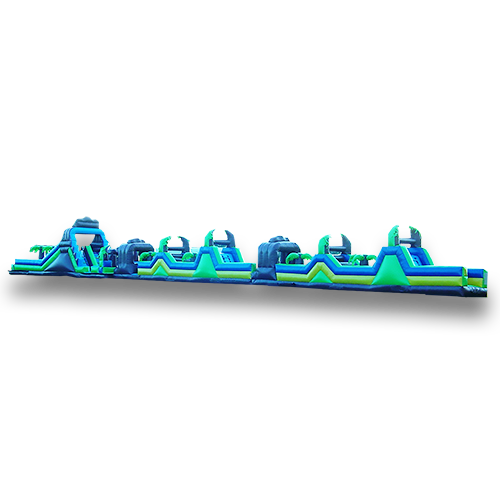 This attraction is 3 pieces that you can use side by side or you can set it up length ways for a 135′ obstacle course. Rock Climb, Slide, Jump, Roll, Race....Perfect for KIDS, TEENS and ADULTS. Great for Corporate Team Building, Teen Birthdays, Graduations, Proms, Camps, etc. 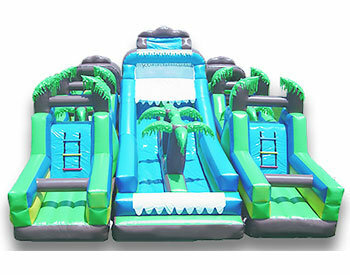 The Aqua Extreme Obstacle course can be used Wet or Dry! Adding Water to the Dry Slide will result in a $350 Cleaning Fee!